Rule 2.iv of the Association states that one of the Objects and Aims is 'To provide financial assistance by way of grants to affiliated church authorities incurring expenditure on the provision, maintenance or improvement of their bells and bell installations.' This the Association does by means of the Belfry Repair Fund, a separate fund within the financial structure as described in Rule 20, into which the major part of all subscriptions are paid. Out of this are paid grants to qualifying projects. In the past the Fund has paid grants in the region of 10% of eligible costs. The work is on the bells or the bell installation. Rehangs and augmentations obviously qualify. Repairs to the installation including but not exclusively items like clappers, gudgeons, bearings, wheels, pulleys, frames and welding of a cracked bell would also qualify. The work is not what are considered day to day expenses or on subsidiary (to the bells) items. New ropes, stays and sliders are excluded. New ringing floors may be considered but redecoration or rewiring are unlikely to be accepted. At least two and preferably three quotations for the work have been obtained from reputable suppliers. This requirement may be waived for small projects or where good reason for only one quotation is provided. Note that the Association will where appropriate make allowance for any voluntary labour contribution. The tower is affiliated and must normally have been so for at least two years. It is expected that any tower receiving a grant would remain affiliated after payment. The grant is to be paid to the PCC or the church authority which has ownership of the bells and installation. No grant can be paid to any third party because of the Association's charitable status. The above points should be considered guidelines and a tower is strongly recommended to contact a Belfry Adviser (names and contact details in the Annual Report or via the Coordinating Belfry Adviser) for technical advice. The Association's officers are also available for advice on financial and procedural matters. 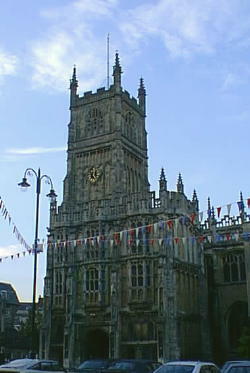 To apply for a grant the tower concerned should contact the Coordinating Belfry Adviser Malcolm Taylor. If he is satisfied that the work appears to be grant eligible and that appropriate advice has been obtained he will then issue an application form. The form comes with a set of explanatory notes which are available for download here to help you decide if you wish to make an application.